The present paper introduces a satellite-based approach to the detection of phenology events in beech forests across Slovakia (the Western Carpathians) using the MOD/MYD09 products. Normalized vegetation index (NDVI) was used for determining the onset of the phenophases in spring and autumn. Double logistic sigmoid function was applied in order to fit the NDVI profile during the year. The satellite-derived phenological metrics was based on calculating the extreme values of the sigmoid function and its derivatives. Between 2000 and 2015, a time-series analysis using the linear regressions models revealed that the onset of leaf unfolding shifted at a rate of 0.8 day per decade, the onset of leaf fall was delayed at a rate of 1.9 day per decade, and the growing season (GS) extended at a rate of 1.1 day per decade. However, at a regional level, the trends were not found to be statistically significant in either case. Leaf unfolding/fall was significantly non-linearly delayed/advanced with the increase of altitude (p<0.01). GS duration varied extensively within the region. Theil-Sen estimation of GS trend revealed the median shift of 1.8 days, the range of shift being from -7.0 to +12.1 days at the 5-95 % quantile for 2000-2015. A significant inverse correlation between GS shift and GS length (p<0.01) was observed. The GS shift was positive in the sites with shorter GS and negative in the sites with longer GS. Improved monitoring of vegetation dynamics at very high latitudes: a new method using MODIS NDVI. Remote Sensing of Environment 100: 321-334. A ground-validated NDVI dataset for monitoring vegetation dynamics and mapping phenology in Fennoscandia and the Kola Peninsula. International Journal of Remote Sensing 28 (19): 4311-4330. Effect of understory vegetation and undergrowth on course of phenological curve of beech forests derived from MODIS. Lesnícky časopis - Forestry Journal 58 (4): 231-242. Classification of tree species composition in Slovakia from satellite images as a part of monitoring forest ecosystems biodiversity. LVU Zvolen, Acta Instituti Forestalis Zvolen, Tomus 9, pp. 65-84. 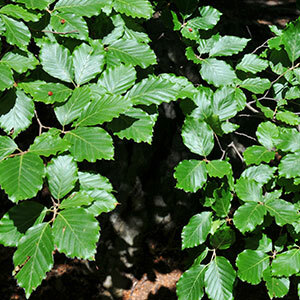 Temporal shifts in leaf phenology of beech (Fagus sylvatica) depend on elevation. Trees 26 (4): 1091-1100. Cross-scalar satellite phenology from ground, Landsat and MODIS data. Remote Sensing of Environment 109: 261-273. TIMESAT: a software package for time-series processing and assessment of vegetation dynamics. In: “Remote Sensing Time Series 22” (Kuenzer C, Dech S, Wagner W eds). Springer International Publishing, Switzerland, pp. 141-158. Analysis of directional effect on atmospheric correction. Remote Sensing of Environment 128: 276-288. Recent spring phenology shifts in western Central Europe based on multiscale observations. Global Ecology and Biogeography 23 (11): 1255-1263. Land surface phenology from MODIS: characterization of the collection 5 global land cover dynamics product. Remote Sensing of Environment 114: 1805-1816. Strong contribution of autumn phenology to changes in satellite-derived growing season length estimates across Europe (1982-2011). Global Change Biology 20 (11): 3457-3470. Trends in spring phenology of western European deciduous forests. Remote Sensing 5: 6159-6179. AVHRR derived phenological change in the Sahel and Soudan, Africa, 1982-2005. Remote Sensing of Environment 108: 385-392. Development of an approach for generation of temporally complete daily nadir MODIS reflectance time series. Remote Sensing of Environment 114: 1-20. A regional phenology model for detecting the onset of greenness in temperate mixed forests, Korea: an application of MODIS leaf area index. Remote Sensing of Environment 86 (2): 232-242. Trend detection in annual temperature and precipitation using the Mann Kendall test - a case study to assess climate change in selected states in the Northeastern United States. Master’s thesis, University of Pennsylvania, ScholarlyCommons, Philadelphia, PA, USA, pp. 27. Novel vector-based pre-processing of MODIS data. In: “Ebook Remote Sensing for a Changing Europe” (Maktav D ed). IOS Press, Amsterdam, Netherlands, pp. 483-490. Evaluating the potential of MODIS satellite data to track temporal dynamics of autumn phenology in a temperate mixed forest. Remote Sensing of Environment 160 (5): 156-165. Spatial and temporal variability of the phenological seasons in Germany from 1951 to 1996. Global Change Biology 7 (6): 657-666. Using of long-term phenological observations of SHMI and NFC for validation of regional phenology model for European beech. In: Proceedings of the International Conference “Mendel and Bioclimatology” (Roznovsky J, Litschmann T eds). Masaryk University (Brno, Czech Republic) 3-5 Sept 2014, pp. 294-311. Variations in satellite-derived phenology in China’s temperate vegetations. Global Change Biology 12: 672-685. Plant phenology in Germany over the 20th century. Regional Enviromental Change 5 (1): 37-46. Phenology of common beech (Fagus sylvatica L.) along the altitudinal gradient in the Slovak Republic (Inner Western Carpathians). Journal of Forest Science 59 (4): 176-184. An evaluation of the onset of green-up in temperate deciduous broadleaf forests derived from Moderate Resolution Imaging Spectroradiometer (MODIS) data. Remote Sensing of Environment 122 (5): 2643-2655. European plant phenology and climate as seen in a 20-year AVHRR land-surface parameter dataset. International Journal of Remote Sensing 25 (17): 3303-3330. Inter-annual variability and decadal trends in alpine spring phenology: a multivariate analysis approach. Climate Change 7 (3): 395-414. Beware of the per-pixel characterization of land cover. International Journal of Remote Sensing 21 (4): 839-843. Leaf phenology sensitivity to temperature in European trees: do within-species populations exhibit similar responses? Agricultural and Forest Meteorology 149 (5): 735-744. What role for photoperiod in the bud burst phenology of European beech. European Journal of Forest Research 132 (1): 1-8. Achieving sub-pixel geolocation accuracy in support of MODIS land science. Remote Sensing of Environment 83: 31-49. Modelling growing season phenology in North American forests using seasonal mean vegetation indices from MODIS. Remote Sensing of Environment 147: 79-88. Monitoring vegetation phenology using the MODIS. Remote Sensing of Environment 84: 471-475. Variations in northern vegetation activity inferred from the satellite data of the vegetation index from 1981 to 1999. Journal of Geophysical Research 106 (D17): 20069-20083.